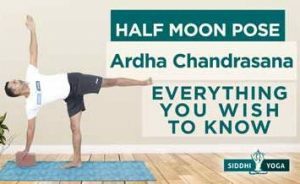 At Siddhi Yoga we offer 100, 200, 300 and 500 Hour Yoga Teacher Training in India and Bali and have graduated over 1000+ successful yoga teacher trainees from 60+ Countries. Our 200 Hour, 25 Days Intensive Teacher Training Course (TTC) is internationally accredited with Yoga Alliance U.S.A. Below are some of the reviews from our students. 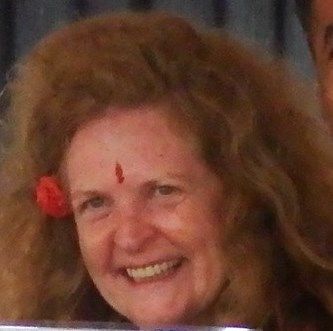 My experience with Siddhi Yoga Teacher Training in Dharamshala, is beyond words that I can express. Starting with the location, beautiful view of the Himalayan mountains. Besides the beautiful location, the people you will meet along the way are more beautiful. The teachers were more then what I could of helped for. They showed me a new way to look at yoga, I came here to only strengthen my own practice but my teachers inspired me so much, that now I want to teach others the lifestyle of yoga. 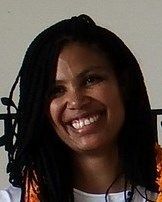 Tara’s personality shines bright and makes you feel welcomed and accepted. His style of teaching is very informative. You can’t help but smile and feel at peace in his presence. He has so many healing teachings and words that teach you life lessons that you will carry with you along your whole life. Prem’s is someone that will push you through your struggling poses with a smile on your face. His philosophy classes teach you about the lifestyle and depth of the importance of yoga. He will make you laugh and feel comfortable enough to express your own thoughts and discuss in class. Amrita will leave you wanting more, she is so smart and she is a sweet soul that shines brightly. She will always go out of her way to help you in anyway. She always made sure we were comfortable and shared places to visit on the weekends. The staff overall, was so helpful. We ate wonderful home cooked meals everyday. I truly felt I was in a home with lovely people. All of the students are exactly in the same situation as you are. We are all learning together and experiencing India for the first time creating many memories together. 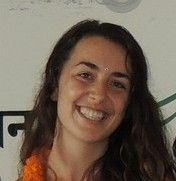 I’m so happy I chose my yoga teacher training with Siddhi yoga because they really have the best knowledgeable teachers. @Tara is best teacher for asanas. He has such a nice calming, healing energy that in his present you are capable of everything. @Prem philosophy classes where so much fun, we discuss about yoga and life in general and his evening yoga classes were intense but great. He has beautiful energy and sweet smile. We learned how we always need to smile and we can do everything. @Amrita taught us Anatomy in so simple and clear way. Sometimes we talked other things that made classes interesting and we laughed a lot. We had so much fun. We learned a lot in this short period of time and we became a good friend with others students and also teachers. On the weekend we always went to town and had fun together. Here in Dharamshala is so beautiful and everyone who likes a peaceful environment with beautiful mountains should definitely come here. I’m just finishing 200hrs YTT in Dharamshala and feeling so grateful that I came here to get a knowledge from the best teachers. They have the right approach to lead you through the training with the discipline and the motivation and really good sense of humour which make intense month also fun. I just finished my 200hr YTT at Siddhi Yoga in Dharamshala with a great feeling of gratitude for all people involved in this course. What I learned here was everything I hoped for in a yoga course.The teachers are so knowledgeable,welcoming, caring and inspiring. They opened my yes and heart to learned the real meaning of yoga practice and I am really happy with my choice. Hope everyone who is searching for a real yoga world immersion find a place and teachers like this one to learn from. There’s a lot of love and warmth and joy in the hearts of the Dharamshala teacher trainers. Prem, Amrita, Tara and Sonu have open hearts and joyful eyes and it was a pleasure to be in their company throughout the whole training. The course itself is very simple and easy. It’s all common sense alignment and basic yoga philosophy and knowledge that any semi-serious practitioner should have. For those on the course who were being opened up to new aspects of yoga it was a good solid grounding and base from which their personal practice will fly. The hotel was peaceful and the staff were really friendly. The food was spectacular. It was such a pleasure to find different different foods every meal time. The area was steeped in calmness and an open energy that was wonderful to practice and play in. This is my third teacher training experience and if you’re planning on doing a training I would definitely recommend this location and these teachers as the best place to start. Finished my 200 hr Yoga teacher training in Rishikesh and I am completely satisfied about it. The journey has been hard: the heat, the lessons were tough, really mentally and physically challenging, the learnt how to deal with emotions and with our body limits. Luckily our yoga group was made from really cool and kind people, Sandeep, Dr. Sumit and Sumit have been amazing guides and teachers, the staff from the hotel took care of us and were always available to to satisfy our requests.Really recommend this school, is a life changing experience..looking forward for my 300hrs. 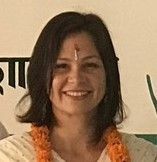 I completed the 200YTT with Siddhi Yoga in Rishikesh in May/June 2018. The course was well structured and paced, leaving a bit of time each week to refresh for the coming weeks. As a relative beginner some of the physical classes were tough, but still enjoyable and every session was a great learning experience. The teachers were very knowledgeable, patient and friendly and made the atmosphere light and fun whilst still educational. Food was great, maybe a little repetitive for some, but if I enjoy something I will eat it, and the style of food is as per the yogic practice, healthy and freshly made. I met great people and learned a lot which was the aim, so overall very happy. 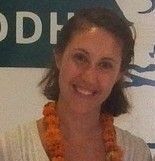 I had an amazing experience with Siddhi Yoga! The teachers and the team at the hotel were very kind and helpful. I was pushed beyond my limits but taught how to exceed them and am so grateful 🙏🏼 Physicaly and mentally this was an experience I will always remember and it felt good to be engaged in something I really believe in and have the confidence and knowledge in the end. I will forever remember Sandeep and Dr Summits laugh. They really opened me up to discover things and I hope our paths will cross again 🤗 The daily schedule was perfect and I look forward to sharing all of my skills and knowledge with others. As well, I really enjoyed the yogic diet I thought the portion sizes and variety was perfect and yummy and the chef was always open to take requests. I didn’t put 5 because I think everyone has room for improvement but I have zero complaints. So happy with this beautiful journey. Namaste. 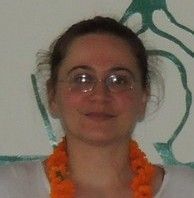 I participated in the Siddhi Yoga Teacher 200 hrs class in Rishikesh. All in all it was a great experience and i improved my physical yoga skills as well as my knowledge in anatomy , alignment and philosophy. Also i got introduced in breathing techniques and meditation. The teachers were very professional, open minded and warm hearted. They always gave their best and i enjoyed spending time with them. I always felt very welcome. Especially i want to thank Dr. Sumit and Sundeep for sharing their positive energy. In the early yoga practice we worked a lot with chairs, blocks and other items (Iyengar yoga style) to make our bodies fit for the asanas. The focus in the afternoon class was on Hatha-Yoga. All in all i was OK with the accommodation and the food. I had a nice room with access to the balcony and it was always a bliss to wake up and see the sun rising behind the mountains. I had a good sleep in the bed . Hygienic conditions could be improved ( bed sheets , cleaning of the room in general). I enjoyed the food and had the feeling that it gave me all nutrition i needed for the yoga practice ( “Yoga-Diet”). So don’t expect spicy indian food with a huge variety. The neighbourhood Tapovan in Rishikesh is an inspiring and beautiful place. But it is for sure quit touristic – yoga industry is big! There are a lot of restaurants and cafés. Also i highly recommend bathing in the Ganges (yes it is quit clean here) and visiting some of the purifying waterfalls. Best yoga course in Goa. The beach and resort were amazing, the teachers outstanding and the people I met there and was so lucky to do the course with will stay in my heart forever. Thank you Siddhi yoga for this wonderful experience, I highly recommend this course! I found the training a truly enlightening experience. My journey has created more awareness through my practice. The teachers are all amazing and professional. The location was perfect as every morning started was a tranquil setting of beautiful mountains and peaceful surroundings. The workbooks was very helpful throughout the course and will be a tool to utilize afterwards. Thank You Siddhi Yoga, until we connect again. The teachers are extremely knowledgeable and personable at the same time. The location suited me perfectly. The entire course was very professionally orchestrated with a big text book to juice you up, shirts and a bag! It’s a very considered program. I also really enjoyed my room and the food. Thank you Siddhi Yoga! I had a wonderful experience at Siddhi Yoga at Dharamshala. The location was beautiful, surrounded by nature. Accommodation was very comfortable and clean. I enjoyed the delicious and healthy food provided. We had very good and knowledgeable teachers and met amazing people from all over the world. 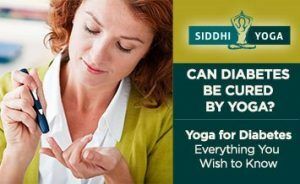 Thanks, Siddhi Yoga! This month has been a wonderful experience. 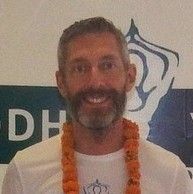 I did the 200 hour yoga teacher training in Dharamshala, India. The hotel and rooms were great with an amazing view of the mountains. The teachers are wonderful and very helpful and my classmates are incredible. We became a small yoga family and I am so grateful for each of them. I can’t wait to return for the 300 hour course! I completed my yoga training at Mandrim beach in Goa in March, I can’t tell you how wonderful it was, definitely one of the best decisions I have ever made. Our teachers Ritesh, Gaurav and Sandeep were totally amazing, so knowledgeable, approachable and eager to teach us. The setting was idealic, our room comfortable and clean. The yogi food provided was delicious. I learnt so much on this course, not only a deeper knowledge of yoga, but about myself, I can honestly say that it was life changing. I have made some beautiful friends and have the love and support of them and the wonderful teachers who are always there for us if we have any questions, how amazing is that! I am home now and teaching yoga classes, something that I would not have thought possible 4 months ago! What a wonderful experience! I learned so much during my teacher training and met so many great people. I’d definitely recommend Siddhi Yoga. 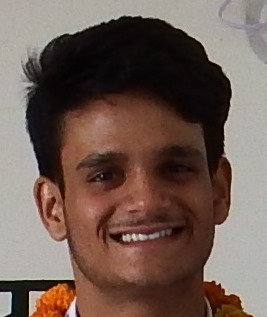 I did my YYT 200 in Siddhi Rishikesh, it was a great experience! Great teachers, good food and very nice staff from the hotel. Great focus on alignment and modification for poses. Clean and quiet accommodation with friendly staff. 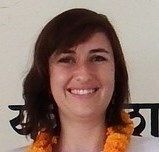 I spend one month in Rishikesh and complete 200hrs YTT with Siddhi yoga. Dr. Sumit has great knowledge in Anatomy, and he always give us the tips that we can use in future teaching. 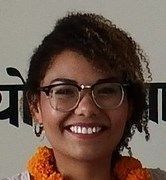 I really enjoyed philosophy class with our teacher Ruchika, her class always catching, deep, but good explained, so I can relate in my real life, she is also a great meditation guide, who has magic can lead you to everywhere. 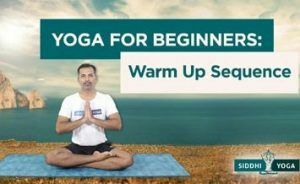 Our multi yoga asana teacher Sumit always give the clear alignment guide on each movement, and gave really helpful tips for future teaching. The hotel staffs are nice , and can cook delicious food, I won’t forget the ‘semousa’ they made (probably spelled wrong). 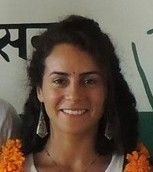 I gained so much more than I expected in this one month yoga training course, I’m glad I chose Siddhi yoga in Rishikesh. I am just coming to the end of my 200hr YTT in Rishikesh! I have loved it! I have learnt so much from how to live a more balanced life, what to eat, when to eat, how to practice, safe practice, what to practice and how to share a more traditional yogic way. 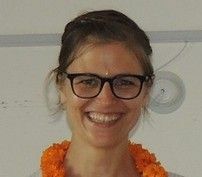 Training in Rishikesh has filled me with the real energy of India and encouraged me to embrace time in a totally different way and allowed me to feel much more connected to nature and the true essence of life. I will leave with a heart full of gratitude and inspiration knowing that I will come back soon. It’s was an amazing course, my first Yoga course in India and I’m very happy with the outcome. Main focus was the postural alignment in the asanas and the anatomical understanding of it. 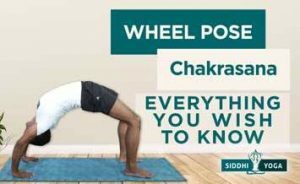 We practiced the awareness in the posture from the first to the last hour and it sunk in, probably for the rest of my yogic life. The teachers were great and the hotel, location and staff were fantastic. I can wholeheartedly recommend this 200 hour training as the foundation of a practitioner and teacher. Thanks to everyone involved for making it happen! 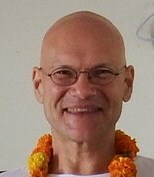 I have just completed my 200 hour teacher training in Rishikesh and I have had a wonderful experience. The teachers were very welcoming and knowledgeable and I have learned so much. I definitely recommend Siddhi Yoga as a place to complete your Yoga Teacher Training. 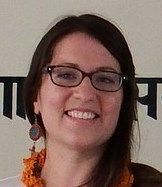 What an incredibly enriching learning experience I’ve had with Siddhi Yoga in Rishikesh. I have learnt SO much from our amazing teachers. Their knowledge, passion and experience has made this the most awesome place to learn and experience the art of yoga in all it’s forms- thank you from the bottom of my heart. My month in this magical place, will be a part of my life forever. Thanks for the special people on the course who made it so memorable. I’ve completed the Siddhi Yoga Teacher Training in Goa in March 2018 and I can truly say that it was an experience of a lifetime. I’ve not only depend my own Vinyasa practice but also learnt new techniques and explore different styles of yoga, like Yoga Nidra or Chakra meditation which was wonderfully guided by great Guru Sandeep Solanki. I loved the anatomy classes and lectures presented to us by super Gaurav Negi who thought me how to look at a body in a wholesome perspective. I learnt a great deal about body movements and functions that I could incorporate within yoga practice. 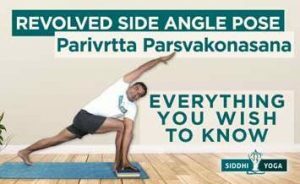 What I have found the most important was the emphasis on the alignment and differences between body shapes and their limitations, that I never came across, so beautiful presented to us by Rithesh Patel. I have not only made friends for life but also met the most kind, knowledgeable and loving teachers, that I have lead me on my path to enlightenment. We have truly become Siddhi Yoga family. I will never forget this journey and can only hope that their knowledge will stay with me and will shine out through my teaching practice. I will not let you down. 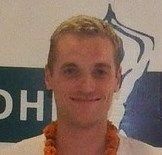 I just completed my 200 hours teachers training at Siddhi Yoga Dharamshala. It was a fleeting experience and something new for me. The location is very fantastic surrounded by The Hills of Himalayas and the city of Dharamshala itself very beautiful. The most important thing to note is that no other Yoga Institute gives personal accommodations in this affordable price range. The meals given to us consists of the balance nutrition and is a perfect yogic diet. The teaching methods used by the teachers here is unique and they are very supportive. I personally liked their focus in alignment. It was all very helpful to me to take my own classes in the future. I will be very grateful to this course and the teachers.